You are here:Home Know Your Ingredients Is Soaking Beans Necessary? The short answer is no. But here are two main reason for soaking dried beans and legumes before cooking. Flatulence. Some types of beans, especially lima, navy, and soy, contain complex sugars that are difficult to digest. To remove these, cover with water plus another inch or two. Heat to boiling, boil for one minutes, and turn off the heat and cover. Soak for one hour and discard the water. 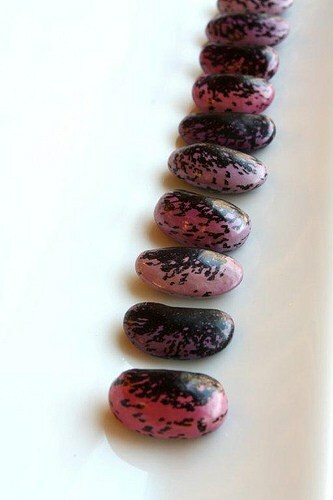 You will remove the problematic sugars but also a portion of the vitamins and minerals in the beans. You can also skim off the foam once you start cooking, since the foam contains most of the sugars. But you will also lose some vitamins. Another way to reduce flatulence is to eat beans more often, until your body adjusts. The problem with flatulence doesn’t apply to chickpeas, dried peas, lentils, and a variety of other beans. Speed. Soaking helps beans cook faster. Some beans cook quickly. Others may be hard or have a tough skin. Adding baking soda will also help beans get softer, but it destroys some of the vitamins. Soak in cold water overnight or for about six hours. Since it’s not critical, you can shorten soaking time or skip it altogether. Kidney beans, butter beans, and cannellini beans should be boiled at a high temperature for ten minutes to remove a toxin that can cause illness. Norma, it doesn’t sound like it’s the sugars if even Beano won’t help, and if you have problems with lentils too. I live in Seattle, where water rates are extremely high. It is cheaper for me to cook the beans longer, using a gas stove, then to soak the beans and discard the water first. I usually add baking soda when I serve the beans, for those who want it. Keep in mind that soaking will reduce the amount of water in cooking, but you still waste some. It’s surprising that such a small amount of water costs more than the gas. Interesting idea about serving the baking soda with the beans!